9. Trial of Miss Madeline Smith. One of the most beautifully compiled "coffee table" picture books in print. The awe-inspiring photography, coupled with the large format and interesting text, makes this a 'proud to own' book. This trulyis a spectacular book! 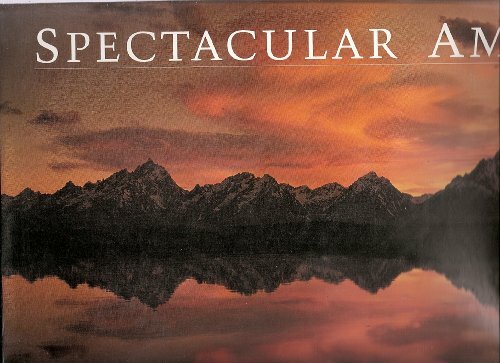 !What a wonderful girft to give to anyone.The photography captures the essence of each location and shows off how very spectacular America is. I consider it one of the most beautiful coffee table books that I've ever seen.Well worth the money!! 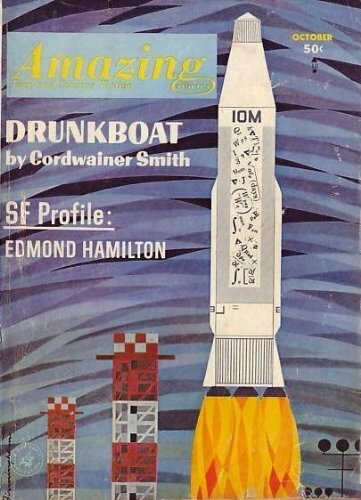 This book highlights all the places one should visit. by Smith. Madeleine Hamilton. 1835-1928. 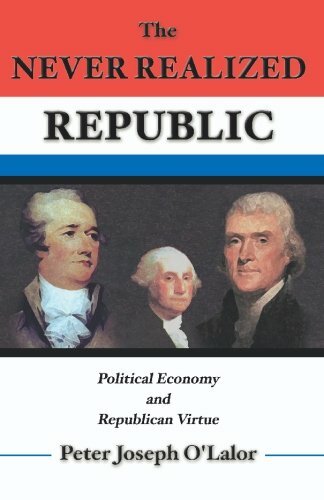 Apparently this well documented book explains what happened to the federal government in the 1790's that not only ill affected the desired outcome of the Revolution; but the reason for an ever increasing central authority today. I enjoyed how the author traced the meaning of words and ideas and the foundation of a classical education that gave the colonists their purpose. 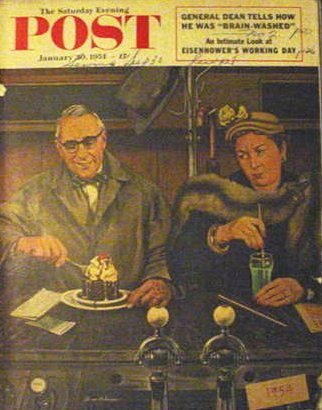 The author stated that "all republics begin because of a need to remedy political evils." He also quotes the Declaration of Independence - "He [the king] has refused his assent to laws most wholesome and necessary for the public good." What a scary reflection of what is happening now! Certainly the author stresses the fact and with a lot of footnotes and research; demonstrates that this kind of history is of paramount importance to liberty. I was amazed at learning about the colonist's own history, and wonder why so much is not taught to children. Is this control of information and or a means of keeping the citizenry ignorant of their governments duty and obligation to the people? I also enjoyed the legal history of common-law which remains with us today. 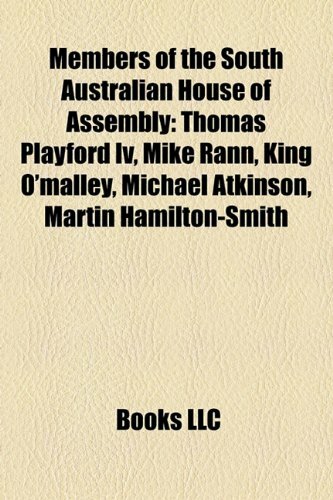 While the author takes great strides to distinguish between common-law as custom and statutory law as "laws of authority," I wish the author would write more about the principles of the federal Constitution today; including but not limited to - fair and equal treatment under the law, as well as a government of laws not of men. In "The Never Realized Republic", Peter O'Lalor describes the great heritage of freedom and liberty that informed America's Revolutionary generation, the fundamental intentions of the Founders when they gathered in Philadelphia to write the Constitution, and the way these intentions were in many ways thwarted by the single-minded efforts of one man - the extraordinary Alexander Hamilton, the driving force of Washington's administration. (It is noteworthy, and praiseworthy, that O'Lalor never questions Hamilton's loyalty or good intentions; only his principles). As a result, the Founders' prevalent vision of a government with a duty to promote political, social, and economic justice for all its citizens, was transformed into Hamilton's personal vision of a government striving to aggrandize itself - through the accumulation of national wealth and global commercial dominance backed up by military might. O'Lalor shows how these two visions, in many ways, reflect two classical ideals: the Greek and the Roman. (Colonial Americans were well-versed in ancient history, as well as English and European history. They understood that the age-old tension between virtue and corruption, and the historic struggles between freedom and tyranny, had much to teach them if they wished to create a future of liberty that would avoid the problems and failures of the past.) The Greeks had developed the ideal of government based on Duty: the duty to do good for the public good. The Romans, after the fall of their Republic and the initiation of the Empire, had developed the ideal of government based on sovereign Right: the right to dominate and expand. England itself had a long tradition of pursuing the Greek vision, beginning even before the signing of the Magna Carta. 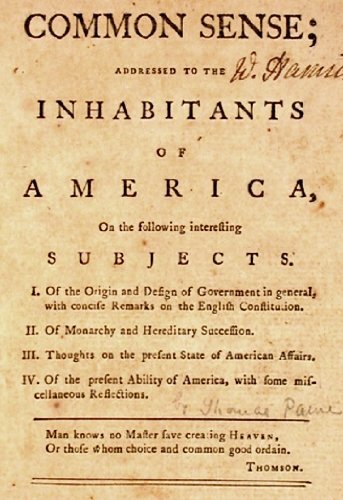 Colonial Americans therefore considered themselves the heirs of a magnificent heritage of ever-expanding freedom and liberty, in which the duty of the Sovereign was to protect their way of life and promote the pursuit of happiness - not to `utilize' English citizens for its own aggrandizement. Thus, O'Lalor argues that the Revolutionary generation was not trying to break away from their heritage and create something altogether new: rather, they were simply protecting their sacred heritage. As the Declaration of Independence points out, the English king had failed in his duty to that heritage, and it was their responsibility to re-invigorate and protect their historic rights and liberties. Later on, when the Articles of Confederation failed as well, the Founders gathered once again to try and correct the weaknesses of the Articles - but not to change their original principles. Therefore, as James Madison pointed out, the new Constitution did not create new principles, and for the most part it gave the government no new powers. Its intent was simply to improve the efficiency of the government's ability to enforce the original principles and powers. There was, however, one `new' federal power: the power to regulate commerce. For this, notes O'Lalor, there was no precedent, and the Founders could not anticipate, from the past, how this new factor might play out. It was this power that Hamilton used "as leverage to finance his vision of an industrial-commercial and military regime, predicated on Roman virtue...." However, as O'Lalor reminds the reader, this new power "was never intended to finance the vision of any one particular person, or an ideology...." It was intended to further the goals of "the Revolutionary generation, whose vision was social, political, and economic equal opportunity." Because of the intercession of Treasury Secretary Hamilton (i.e., his slanted scheme for assuming and paying off the revolutionary War debt, the creation of a national bank, his coziness with wealthy factions, his one-sided encouragement of industry), this vision - the intended American Republic - was never truly realized. O'Lalor's very good (and exceptionally well-documented) book tells this story from pre-Magna Carta days to the time when Hamilton's efforts came to an abrupt halt following his Report on Manufactures (which projected the future of the United States in the world economy, and which brought charges of corruption along with strong opposition to Hamilton's suggestion of supporting industry through subsidies). He nicely weaves together elements of ancient and modern history, economics, philosophy, religion and education. He grieves over the loss of what might-have-been, deploring the empty consumer society that seems to be the final end of our great American experiment. But he concludes on a hopeful note: "The government has a moral duty to serve people. If that is a given, society will progress toward peace and harmony. Then will America realize the republic of the Revolutionary generation." This is a very pertinent and timely book, which all Americans should read. This man knows what he is writing about!!!! This book is a fascinating look into our nation's true history!O'Lalor goes back in time with examples such as the Magna Carta to explain how our nation's fathers got their ideas on how to organize this nation's government.This is not a History for Dummies book!This is a true work of someone who has done incredible research to bring the reader the true meaning of a "republic".Do YOU know what a REPUBLIC is? Watch Video Here: http://www.amazon.com/review/R38ATDTD5U601R This book presents old and new Irish Family coats of arms.You will see in the video that some of these arms are in color, and several other works have that.What no other work has, are the combined records of the old heralds work, with the rough black and white original illustration, plus the genealogical notes on both the older and newer illustrations. Included are illustrations and family notations from 4 or 5 heraldic works, dating back 2 to 4 centuries.Those unfamiliar with the printing techniques of the day,will not understand the old block letterpress style printing of times past.Those illustrations are not like the slick illustrations from art departments today.I included the originals just as they appear in the old works by Kimber, etc.. so we could see exactly what kind of designs were being used in the days when it meant much more than today. Included from the old heralds work, are notations on the family, sometimes giving the ancestor from whom they descended, or from where they originally came.So, they are taken then, from the original heraldic work.You will also find lists of those who lost heraldic honors, and those whose line went extinct.Anyone with an appreciation for history will find the older section of this work both interesting and valuable.These original resources are seldom used in modern works, so much so that many people have no idea from whence they came ! I hope you will enjoy the video and the Irish Book of Arms.It is a unique resource for Irish Heraldry, with original heraldic illustrations and commentary. This book has been so informational!It has helped greatly in my research. Information I havent been able to locate anywhere. This book has captured the arms and family history of the old Irish Septs. As well as the newer families from Scotland and England!I highly recommend! Overall this is a very good source on Irish heraldry dating back some time. True it is in black and white and the images seem to be scanned in from other sources, but that is precisely the point. 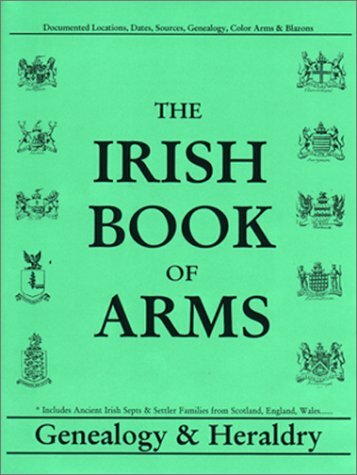 It is a compilation of arms from several Irish sources scanned into one collection and alphabetized for the reader. It is a worthwhile book for anyone interested in Irish armory at all levels and certainly aids those who do heraldic artwork, such as myself, in finding emblazons from long ago so future clients can create their own arms based off of, though different from, the existing arms of these names from specific places. Overall I give it 4 out of 5 stars. The only reason it is not 5 out of 5 is that I wish the blazons for some of the arms, which are not included, would have been; i.e., the arms of the Tribes of Galway is an excellent feature, but the blazon for the crests and arms is not there ... you have to dig them out of the text where they are available there, though not all are. Proven original arms and families from the 1700's onwards! In addition - genealogy notes which appear nowhere else in print appear in several hundred entries.They name the holder of the arms, the name of father or descendant, and the SOURCE from which the information is taken, i.e. the Peerage of Ireland, The Irish Compendium, etc...dating back to 1722 a.d..It is, bar none, the largest collection of Irish arms with commentary. In short, any serious student of Irish heraldry will appreciate this work and its historical context. Read the original, full-length political pamphlet that inspired Glenn Beck to write Common Sense! It is sad to think what our schools have become. Since our school systems have been taken over by "feel good", "don't hurt their self-esteem" whacko, liberal, leftist Democrats, our educational systems have sunk to ever decreasing lows. This SHOULD be mandatory reading in every junior high class. Now...if obama and all his other dim-whitted, socialist, leftist MORONS would read it, we might be better off!